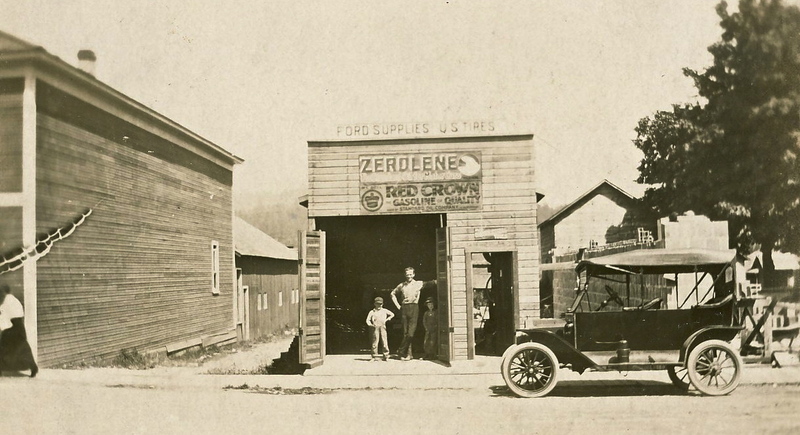 This little garage stood on Mashell Ave., next to where Postnet stands today, and was owned by Charley Williams. In fact, that’s Charley Williams standing there in the doorway. The boy to his left is his son Ray Williams. 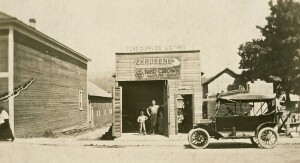 The picture was taken in 1915 — the same year William Boeing took his first flight lesson. Also, the same year Ford built it’s millionth car.